We install custom built truck deck plates & airline boxes made out of polished stainless or aluminum as well as custom fabricated light boxes and bars. 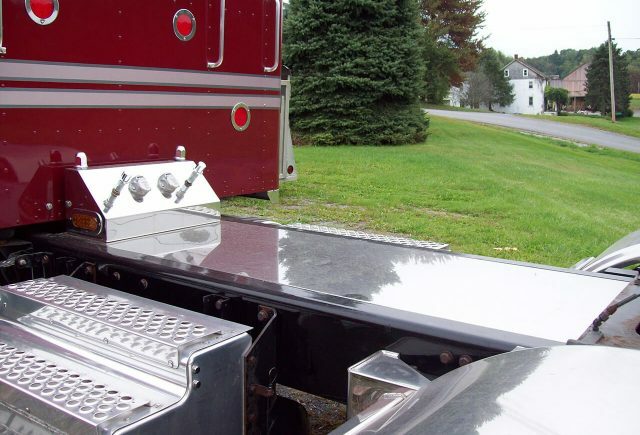 Custom fabricated aluminum underbody boxes can be made in almost any size… many options are available! 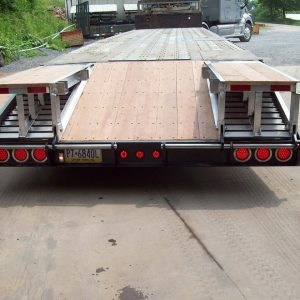 View our modified truck and trailer gallery to see what we can do for you! With over 25 years experience in modifying wheel bases for trucks, we have the expertise to safely modify your truck to accommodate your trucking requirements. We can shorten or lengthen your wheelbase with proper reinforcement to provide years of dependable use or replace your entire frame rails with new ones. We are an authorized dealer for Shurco tarp systems. These systems installed in conjunction with the Zimm-o-matic original aluminum end caps gives you both quality and appearance! We stock a full line of Original SHUR-LOK parts. Zimm-o-matic also manufactures aluminum tarp bows. Various electric tarping systems are also an option. 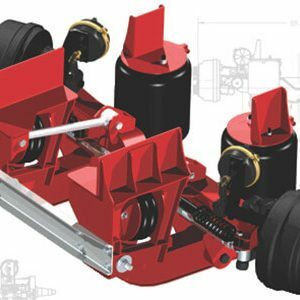 Zimm-o-matic provides installation of brand name lift axle and suspension systems to customize your truck or trailer, just the way you want. If you need custom work done to your truck or trailer, give us a call. 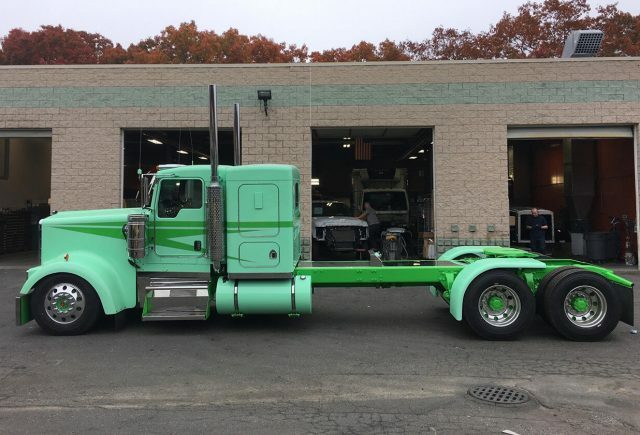 We’ve done many customization’s over the years including swapping truck bodies, adding suspension cutoffs and rebuilding rollover dump trailers. 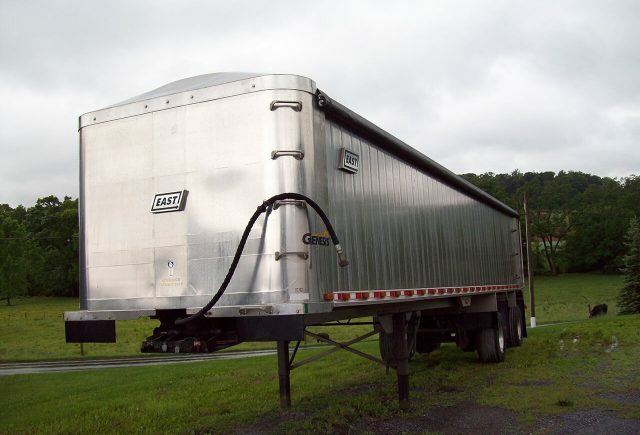 General frame repair and dump trailer customization’s are also things we do. We are happy to work with our friends at Merv’s Painting, a full service paint shop for all your truck and trailer painting needs. Check them out HERE.